Account Collaboration and Strategic Account Planning with video is a very efficient and effective way to align a team and deliver great value to your customers. Last week, I needed to quickly get up to speed on one of our customers. We had a scheduled meeting with one of our larger and most strategic customers. We have seven people at SalesHood working with this company including Sales, Customer success, Product Management, Professional Services and Customer Support, including myself. I looked on our shared calendar and couldn’t find a time where we could all meet to debrief. We did something pretty cool to solve this problem. We had everyone working with this company record a short video. We decided the fastest path to getting up to speed and getting the team aligned with each other on all the great work we’re doing was to have everyone record a video. It was the only alternative I had to scheduling a video conference or an in person meeting. It proved to be very effective and efficient. In a few short hours, we had seven videos, twenty five comments and over ninety views of the customer videos completed. The idea worked and everyone on the team thought the use case was very interesting and useful to them. This doesn’t work for all of your accounts and customers. Focus on accounts that are more strategic and involves a team based approach to account collaboration. An SMB account could work but you won’t see the most value from it. Have a front-line manager or VP sales or senior leader record the ask in the form of questions. Have them share what kind of information they are looking for. Be specific. Ask for information that you can’t easily find a CRM system. The magic here is we can quickly capture the real work, data and experiences that aren’t captured in a CRM system or not searchable in a system like SLACK. The magic happens on calls when teams come together but it’s impossible to get teams quickly together on all strategic accounts. Invite all team members who play a role in customer success to record their video and ask each other clarifying questions. Remember our own example where I invited Sales, Customer Success, Product Management, Professional Services and Support. Make the video capture and distribution easy. The SalesHood system is a great way to scale video sharing, commenting and searching with speech to text. Another great benefit is that teams virtually “high five” each other and celebrate each other’s work too. Ask for peer commenting and questions and watch how your team members will learn a lot from each other. Create a space where everyone can learn from each other’s experiences so they can ultimately serve your customers better. These are also great use cases to share with front-line sales managers, sales leaders and executives. They will gain a lot of value by quickly watching some videos and getting up to speed on customer planning, strategies, teamwork and issues. Account Collaboration and Strategic Account Planning with video is an efficient and effective way to get your teams working better together. Elay Cohen is the author of SalesHood: How Winning Sales Managers Inspire Sales Teams to Succeed and the co-founder of SalesHood, a SaaS sales enablement platform and community for sales professionals. 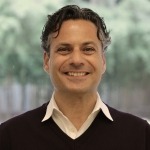 Elay is the former Senior Vice President of Sales Productivity at Salesforce. Recognized as the company's "2011 Top Executive", and credited for creating and executing all of Salesforce's sales productivity programs that accelerated its growth from $300M to $3B+ in revenue. The sales training and sales support innovations delivered over these years by Elay and his team to thousands of sales reps resulted in unprecedented hypergrowth. He also created the Partner Relationship Management (PRM) category.